When I try to recall my Hari Raya shopping experience, I just realise I don’t really have much memories about it. Simply because my family and I are the simple person. 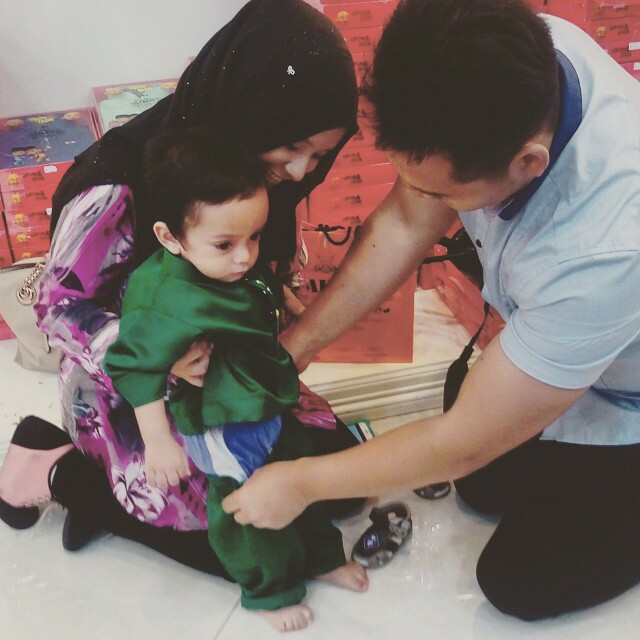 We don’t really fancy of buying new clothes for Hari Raya and the last time we had shopping for Hari Raya clothes was few years back. Maybe 10 years back. Usually I will just wear my previous Baju Melayu because it’s still nice and I only wear it once a year. This year, somehow my business slightly better and I thought of why not I’m getting something for my parents. Usually we prefer to shop in Singapore and seems that this year I found a place where I can buy for my family. Simple video that I did on that day. Last week before I catch my flight to Langkawi, I manage to drop by Jakel Mall Kuala Lumpur. I heard a lot of interesting stories regarding the Jakel Mall before and finally I manage to pay them a visit and it’s seriously freaking huge. 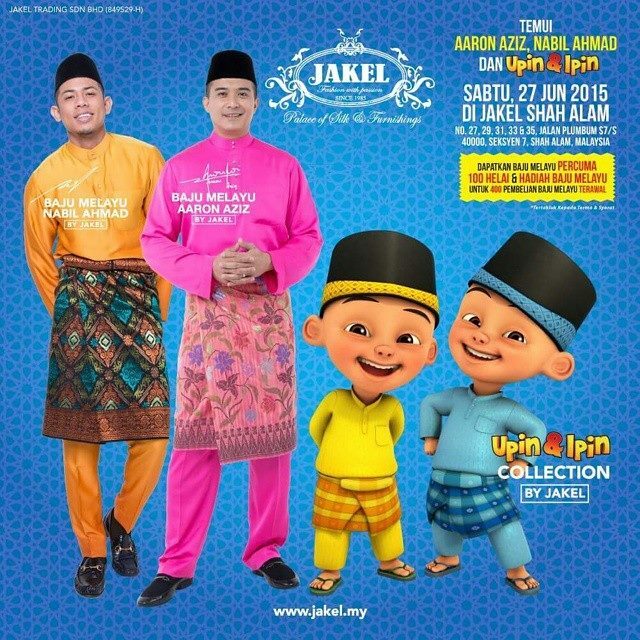 In conjuction of the upcoming Hari Raya, Jakel once again having promotion for their Hari Raya collection, Gempak Raya Bersama Jakel 2015. In conjunction of their tagline “ INGAT RAYA INGAT JAKEL “, Jakel is not only having promotion for their ready made Hari Raya outfit but they do have other stuff as well such as carpet and curtains. My first impression when I step into Jakel Mall was “I’m definitely going to come here again with my parents during non peak hours”. Some people even queue as early as 6.30am because Jakel Mall is giving away Hari Raya outfit to the the first 500 customer. Jakel Mall started to run their business this year and they took initiative to provide the lowest rate to their customer especially with all the GST issue. This year as usual, they still endorse Aaron Aziz as their ambassador and Nabil Ahmad replacing the last year comedian artist, Zizan Razak. Not to mention the other ambassador such as Rozita Che Wan, Upin dan Ipin, Mia Sara and Rykal. Jakel also introduce their promotion period known as “ Happy Hour “ where the customer can purchase up to 50% discount. For example Aaron Aziz collection price can cost up to RM300 but during the Happy Hour, the customer can bring back with very attractive price as low as RM150. Same goes to Nabil Ahmad collection, Rozita Che Wan and other collection. Personally I prefer Nabil Ahmad collection because it’s slightly cheaper compare than Aaron Aziz collection and not to mention that Nabil Ahmad collection is more into young generation. If you need a carpet, don’t forget to visit their 4th floor.